Where should I send your Alien Mate Index Freebie? Evangeline here with a freebie I think you’ll love. 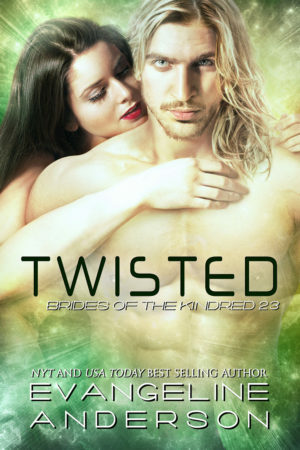 You’re probably familiar with my Brides of the Kindred series which is a lot of fun to write (and hopefully to read.) But now I’m starting a new scifi romance series called Alien Mate Index. The first book, Abducted is now available and I wanted to give you an exclusive look at it—a free novella which is the first part of the book. Enter your email address to get your free copy of BONDING WITH THE BEAST delivered to your inbox right away. In the next days I'll also send you free copies of CLAIMED, book 1 in the Brides of Kindred series, and ABDUCTED, the first book in my Alien Mate Index series. Don't worry—I won't share your email with anyone else, I'll never spam you (way too busy writing books) and you can unsubscribe at any time. Enter your email address to get your free copy of BONDING WITH THE BEAST delivered to your inbox right away. In the next days I’ll also send you free copies of CLAIMED, book 1 in the Brides of Kindred series, and ABDUCTED, the first book in my Alien Mate Index series. You have successfully subscribed! A confirmation email is on your way to you.